I developed this tool with Clover Needlecraft. 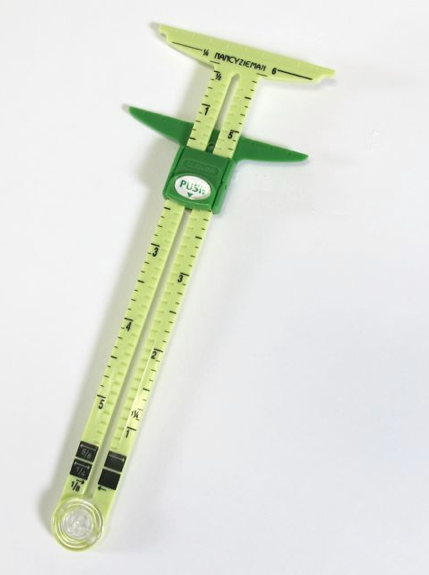 The 5-in-1 Sliding Gauge is a multifunctional gauge for marking, measuring and more. This tool is so versatile you’ll find it handy for each of your creative projects. I can’t wait to share the many uses for one of my new favorite notions. The 5-in-1 Sliding Gauge has a unique design—it’s compact, yet versatile! Let’s take a close up of this clever design. 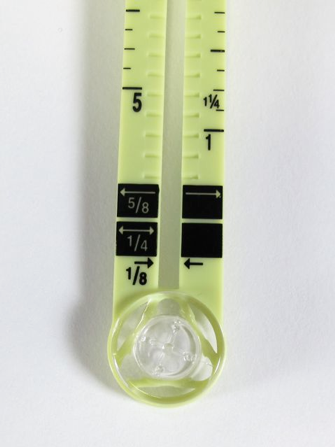 It’s a six-inch ruler, marked in 1/8” increments (Left side of ruler begins at 1” and ends at 6” inches. Right side of ruler is reversed beginning at 6” and ending at 1”). The cursor slides and then locks into position with a push of a button. The top of the cursor shows the selected measurement. The top of the gauge and cursor has 1/4” markings. 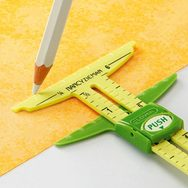 The width of the ruler is 5/8”. Each side of the ruler is 1/4”. The open space in the center is 1/8”. Finally, the end of the gauge features a compass pivot point—that’s a very unique feature. Details to come later! Slide the cursor and set it to the measurement the distance between buttonholes. Align the edge of the ruler to the center marking. Position the top edge of the gauge to the placement of top buttonhole. Trace the top edge of the gauge the length of your buttonholes Next, trace the top edge of the cursor. Slide the gauge down. Align the top of gauge to second buttonhole marking. Again, trace. Repeat the process until all buttonholes are marked. 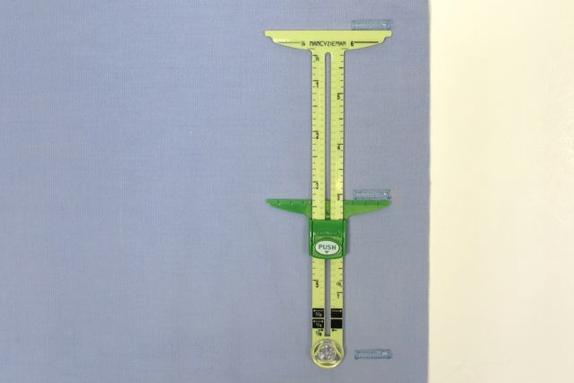 Use the handy 5/8” ruler width to mark and check garment seams. 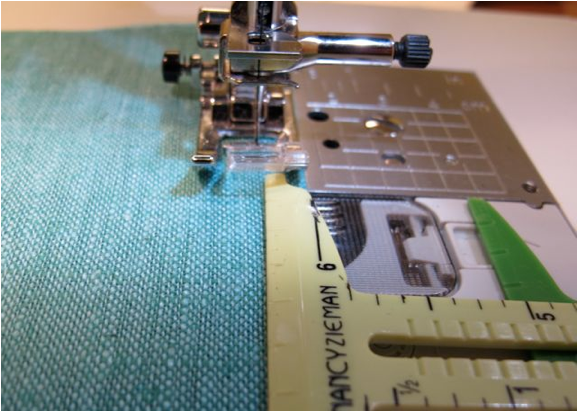 Or, get a truly accurate 1/4″ seam with when changing the needle position. 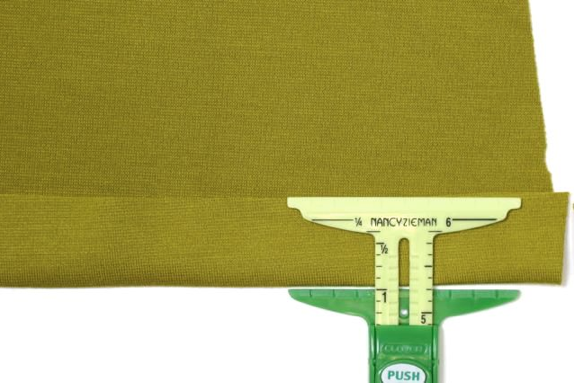 Slide the cursor and set it to your pattern’s hem width measurement. Remember the gauge locks in place! Fold up the hem and press or pin. With the push of a button, slide the cursor to desired marking equaling the circle radius, or half your circle size. Hold the compass pivot with a pin or stiletto/awl. 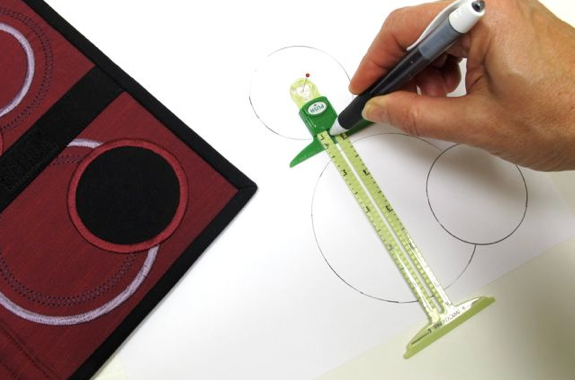 Insert the point of a marking tool into the cursor opening, and draw circles and arches. Mark directly onto fabric, template material, or freezer paper. When you need to measure both length and width at the same time, use the T-Gauge feature. Mark and measure both length and width at the same time. 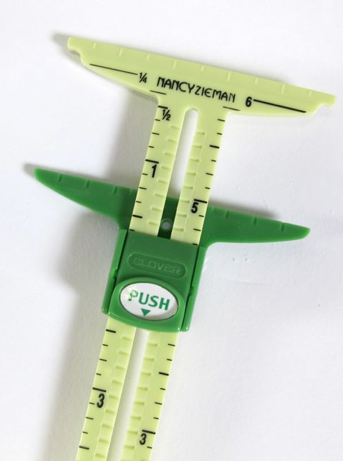 I know that every time you sew, quilt, embroider, or even knit, you’ll be relying on this versatile tool—the 5-in-1 Sliding Gauge! Please join me three times a week at my blog for the latest in sewing, quilting, and creative tips! 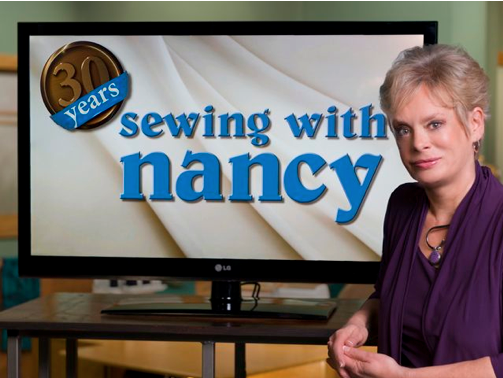 Nancy Zieman—author, pattern designer, businesswomen, producer, and national sewing authority—is the host of the popular show Sewing With Nancy®, which appears exclusively on public television stations across the United States and Canada. 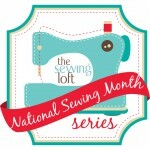 Follow Nancy’s Blog at NancyZieman.com/Blog for the latest news in Sewing, Quilting, & Creating. Boy, I really have to say that this tool sounds like a must have for the work room. Measuring hems is one of my least favorite tasks and right now, I am working on drapes. (several sets actually and the process is going slow) After today’s post, I think my project is going to be tabled until I get one of these 5 in 1 sliding gauges in my hot little hands! Stay tuned, tomorrow Pat Sloan is sharing a sneak peek inside her work room. Nancy Z. is one clever lady. I have this little gadget and it is a great time-saver. best wishes from Adelaide. South Australia. Why is this guage not in my sewing room? Gotta correct that! Thank you, Nancy. Some ASG trivia concerning Nancy: she is the first inductee in the Sewing Hall fo Fame. I’ve always thought my little gauge tool was adequate, but I see that the Clover can do so much more! I think I need to add this to my tool bag.